PowerPact creates and executes programs for some of the world's biggest brands. We motivate consumer behavior in-store, online and on-the-go. We develop solutions and creative with passion and an eye on delivering results. CHALLENGE: One of the key missions of Susan G. Komen for the Cure® is to educate people about breast cancer and early detection. The Komen Race for the Cure, considered to be the premier series of events in the breast cancer arena, touches over 1 million participants each year. Komen realized it was missing a golden opportunity to educate its participants. INSIGHT: In 2006, baseline research found that participants left the Race feeling good about their role in supporting a loved one and the cause, but were not walking away with a heightened understanding about breast health. We realized we had an opportunity to harness the emotion and educate people at the same time. IDEA: PowerPact created an event-based program and rallying cry called I AM THE CURE.® It executed at 89 Races and featured cheerleaders we call "Cure Leaders," chanting catchy breast health cheers and handing out education-based merchandise. Those chants were: • Best Protection is Early Detection! I AM THE CURE.® • Every Person, Everywhere! I AM THE CURE.® • Raise Your Voices for Healthy Choices! I AM THE CURE.® • Yearly Checkups Can Save Lives! I AM THE CURE.® Events were bolstered by a host of localized promotions, a Komen Affiliate training manual, Event Enhancement Kits, and an education-based microsite, www.iamthecure.org. RESULTS: Race participant message recall jumped from 73.9% in 2006 to 89.5% in 2007; in 2006, 30.7% of respondents remembered a health message vs. 54.4% in 2007; cancer statistics recall improved in 2007 (26.7% vs. 18.1% in 2006); 87% of Race participants who took the premium quiz at www.iamthecure.org said the key chain was useful • I AM THE CURE.® rolled out nationally and internationally, totaling 122 Races, including three in Italy, one in Germany and one in Puerto Rico. Chants continue at all Races today. CHALLENGE: Getting significant retail coverage and standing above the competition is a consistent and ever-growing challenge for the electronics category. Sony needed to flex their brand muscle with retailers and consumers to once again demonstrate their product superiority and brand value. INSIGHT: Electronic enthusiasts want the best, latest and coolest gadgets available. IDEA: We showcased the product and technological superiority of Sony TVs, computers and cameras by pairing them with the most-recognized (and gadget-oriented) movie franchise in history, James Bond. We created a highly engaging eight-week retail and on-line promotion, leveraging Bond's latest film, Quantum of Solace from Sony Pictures. Mission for a Million featured a thrilling "secret agent" game that intriguingly blurred virtual and real worlds; participants were given the mission to recover portions of stolen Sony HDNA, for a chance to earn Sony products and $1 million. The promotion kicked off with a two-week buzz generating effort on Bond fan site blogs. Multiple missions with secret codes were delivered in-store to drive engagement online. The buzz kept rolling through an arsenal of digital communication like email blasts, banner ads on social networking and retail partner sites and with an AOL bot. Text messages and phone calls from the movie characters to participants were deployed for each new mission. Finalists were flown to Hollywood for the world premier and got to rub shoulders with the stars, like Paris Hilton. RESULTS: During the six-weeks at retail, 2,540+ national, regional and independent retail stores participated, resulting in tens of thousands of consumers going to the stores to find secret codes. Unique traffic to Sony.com was up nearly 25% versus the previous five months. Seventy-six percent of the traffic increase was directly tracked to the promotion itself. An unprecedented number of virtual product tours and opt-ins for future mailings expanded Sony's long-term relationship with potential customers. And now, Mission has been selected as a finalist in the 2009 PROMO Interactive Awards for Best Promotional Website. CASE STUDY: Virgin Vines • Rockin' The Vine! CHALLENGE: We launched Virgin Vines for Brown-Forman as a brand of wine for youthful, fun-loving consumers. The challenge was to attract beer-drinking young men through traditional grocery accounts that typically focus on women, and where there are literally hundreds of wines to choose from. The brand needed a turnkey promotion that could be implemented locally and in multiple markets, which is equally difficult to achieve. INSIGHT: Young men love being out on the town, having fun with friends while enjoying music. It's a lifestyle insight that is usually reserved for beer-loving guys, not conservative, wine-toting connoisseurs. IDEA: PowerPact created an umbrella promotion, Rockin' the Vine! – The only wine that rocks. It provided an attractive tie-in with a wine purchase, offering concert tickets to their choice of local shows through Ticketmaster. Rockin' in-store POS/merchandising grabbed the beer-buying guy's attention by using oversized displays that looked like speakers and guitars. Communication drove consumers online to enter to win tickets and become a V3IP member (Virgin Vines Very Important Person), which meant having the inside track to what's hot in the local club scene and to receive cool stuff from Virgin Vines, including new music downloads. RESULTS: This breakthrough brand gained its very own fan base – retailers, distributors, salespeople and consumers alike rocked and rolled behind the program. Custom displays were successfully created for and executed in traditional grocery accounts – a highly competitive environment. CHALLENGE: How do you leverage a multi-million dollar high-profile sponsorship across multiple products with multiple audiences? Oh, and you don’t have a direct sales relationship with the end consumer. Game on! IDEA: PowerPact leveraged LG’s status of being an Official Corporate Partner of the NCAA with seven weeks of eye-catching, decision-tipping offers at retail that explained how LG products help NCAA fans get the most out of March Madness. And the buzzer beater? LG’s Bracket Game sweepstakes pitted LG products against one another in a fun juxtaposition. Instead of filling out a traditional March Madness bracket grid, players decided who wins in a faux matchup between products — for example, an LG large capacity fridge (with extra room for all of your game time snacks and beverages) vs. an LG HDTV (for watching all of the game time action). Sweepstakes prizes leveraged LG’s NCAA sponsorship and included a trip to three different upcoming NCAA championship events (Basketball, Lacrosse and Baseball) as well as LG products. RESULTS: This program broke LG records with LG’s highest retailer participation rates and ad placements. LG achieved a revenue-to-cost ratio and sales lift that each exceeded the former benchmarks set by Black Friday and Super Bowl promotions. And campaign integration with the largest US consumer electronics retailer was a slam-dunk. CHALLENGE: One in three Americans born today will develop diabetes. About 20% of them will die from it; the other 80% will shorten their life span by five to 10 years. With that kind of societal impact, why does the ADA receive less donations than other popular causes? Why are fewer people emotionally connected to the fight? INSIGHT: Pink ribbons and races for breast cancer awareness...quilts for AIDS...yellow bracelets to fight cancer...adopting African children by name. These programs empower the consumer to take control and participate in a very personal way. More than writing a check, people know they did something tangible to help. ADA hadn't found a way to personalize the fight. Our job was to help them make the connection while also increasing funds. IDEA: We knew that rubber and ribbons have been done in every color. If we could only "I.D." who is effected by it – we need to see real people with real names and faces. 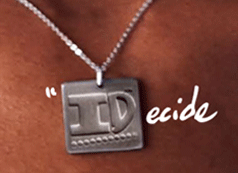 Our campaign "I Decide To Fight Diabetes" puts the consumer in control. The I.D. charm and other gear personalize the fight. Now, people inscribe loved ones' names onto I.D. necklaces and bracelets and wear them as fashionable badges of honor that teach, inspire and raise awareness. People also personalize T-shirts and totes that make them champions of the cause, uploading a photo of the person they're fighting for inside the "I" in I.D. We built a website that not only makes it easy to order gear but also serves as a hub to "share your story" and invite others to join the fight through customized e-cards. RESULTS: 24,500 charms were sold in the first year, shattering the goal of 10,000. Over 225 million media impressions were made through PR efforts, and $1 million was raised from sales and sponsorships. Using the campaign to create new excitement around the cause, corporate sponsors got on board including Liberty Medical, Novartis and Splenda. Celebrities backed the cause too, including Patti LaBelle, Actress Sherri Shepherd, Mother Love, Reporter Maria Menounos and Health Pioneer Donna Richardson Joyner. CHALLENGE: In recent years, glitches surrounding the Microsoft Vista operating system, combined with the halo effect of Apple's popular iPod and the successful "I'm a Mac and I'm a PC" campaign, have resulted in increasingly dated perceptions of PCs, particularly among 30-something and younger consumers. Sony VAIO needed to breakthrough the PC stigma and get people to buy during the back-to-school selling season, coinciding with the launch of the VAOI FW notebook. INSIGHT: Shoppers across the board are gravitating to personalized products that allow them to express their own style and personality. IDEA: Recognizing these trends, the VAIO My Graphic Splash PC Design Contest was created. At retail and at Sony Style stores shoppers were encouraged to go online and submit their own notebook computer top case designs. The winning design could receive $5,000 and a VIP trip to New York City, as well as having their design sold on SonyStyle.com. With a smashing amount of entries, the top eight finalists were selected by celebrity judges Lauren Conrad (MTV Reality Star), Maya Hayuk (pop-culture painter/artist), and Kelly Nishimoto (The Style Network show host) at the Microsoft PROJECT event in Las Vegas – a global trade show for the fashion industry. Event attendees were given a chance to vote on each finalist as their design was paraded down the runway. Sony never looked so good. RESULTS: The program was a resounding success for Sony, in sales, contest submissions, site traffic, and voting participation. Contest submissions exceeded goal by more than 750%. Consumer engagement with the program on-line indicated that Sony was helpful in facilitating a way for consumers to express their personal sense of style. Total number of unique visitors to contest web site: 84,529. Total number of page views: 819,222. Total number of registered users for design submissions: 2,793. Although sales lift numbers are proprietary to Sony, the program was effective in increasing sales on VAIO Graphic Splash Notebooks. The program even received two prestigious Bronze Reggie Awards for Best National Program and Digital Campaign, under $1 million. CHALLENGE: Capital One had just issued a new corporate imperative to help them compete in the tough financial services category. The company asked employees to join them in a "compelling customer experience"- something they felt would differentiate Capital One in the marketplace. They wanted an innovative way to "bring the customer into the room" and have employees leave feeling like they knew the target better than before. INSIGHT: Walking in the customers' shoes fares far better than reading a findings report. IDEA: We built a multimedia Customer Immersion Gallery that showcased the customer perspective and provided employees with an interactive, enlightening experience. To truly make an impact on the employees, we leveraged real customer dialogs, situations, thoughts and emotions as the basis of the experience. The Gallery featured a life-size walk-in interactive kitchen enabling employees to literally step into a day-in-the-life of a customer. Larger-than-life-sized images depicted the customer's emotions relative to their Capital One experiences, as well as their desires. Listening stations featured excerpts from actual customer phone calls, and viewing stations displayed customer interviews. 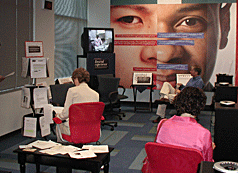 Participants used phones and live computer terminals to interact with the company, just like a customer. The pilot was such a hit with Executives that the program was expanded and quickly turned into a traveling Gallery. This comprehensive experience left employees, across the nation, with a much deeper understanding of what the company looks like from the outside looking in. RESULTS: The program was only ever intended to have a 13-day run for about 40 people, but the execution was so compelling, the CEO made it mandatory for all employees to experience and extended it to a full year. PowerPact was further commissioned to create a Traveling Gallery mobile unit - a tractor-trailer version of the original gallery. Our customers said: "PowerPact really hit the mark, this is awesome!" "I feel bathed in the customer experience." "You are the go-to guys in my book." CHALLENGE: PowerPact helped a new wine brand connect with female consumers, maximizing a small budget by partnering with like-minded brands. New wine products targeted to women typically get only niche support; so to go mainstream, Little Black Dress® (LBD) would need a hook. INSIGHT: We recognized that during awards shows and red carpet events, women critique fashion: the female equivalent of the Super Bowl. IDEA: Little Black Dress was introduced as The Official Wine of Awards Season. It made its presence known on the red carpet, on store shelves, in the press and at home. Our campaign included turnkey in-store activation with bottleneck promotion, media support and PR. We also booked online media with Us Weekly and worked with Henson Consulting and Bradley Whitford's The Clothes Off Our Back Foundation to seed LBD into Hollywood parties. Celebrities donated little black dresses and signed bottles of LBD wine for an auction on clothesoffourback.org. Partnerships with brands and media outlets legitimized Official Wine of Awards Season positioning and resonated with our target. These included N.Y.C. New York Color Cosmetics, Bioré, "Little Black Dress Approved" Degree Ultra Clear for Women and Us Weekly. Celebrity stylists had video tips on how to accessorize a little black dress for every occasion. RESULTS: LBD exceeded distribution and sell-through goals • Surpassed sales expectations and media impression goals with 25,638,277 paid impressions through Us Weekly, as well as extensive PR • Online sweepstakes drew highest entry response in Us Weekly history • LBD and Degree had strong presence at "red carpet" events • Celebrities including Jane Seymour and Nicollette Sheridan gave support • Exceeded sales goals, won acclaim from Market Watch Leaders and in Nielsen's Trend Rank Report 2007. CHALLENGE: October is typically a non-promotional time frame for IKEA due to it being on the heels of the holiday period. IKEA wondered if its 20th year in the United States would resonate with Americans and double sales. INSIGHT: Most business anniversaries are seen as corporate celebrations. People usually do not feel a personal connection to the occasion. 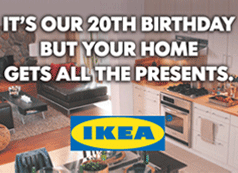 In the US, companies that do celebrate their anniversary with the public, typically offer big savings; IKEA never puts its current inventory on sale. IDEA: In quirky IKEA fashion, we turned the anniversary into a birthday party and everyone was invited. Come for the cake and your home gets the gifts – beautiful IKEA furnishings for an unprecedented 15% off everyday low prices – an offer only enjoyed by employees and only good for the very special celebration weekend. Employees were also surprised with an additional 20% off an item of their choice. Everyone had reason to celebrate! We created a nationwide 20th Birthday Party weekend with simultaneous events happening at all 22 U.S. stores, in 11 markets. We dressed all store exteriors with birthday cake trimmings, the biggest store in the U.S., Schaumburg, Il, took the cake. It was completely wrapped from top to bottom as a giant cake using 33,000 square feet of vinyl, 470 gigantic streamers, 19 miles of cable and over 36,000 grommets. A feat that the media and shoppers loved, it was even featured on Discovery Channel's Really Big Things show. We created all the communication for the event. The campaign featured a 20-year retrospective microsite and included print and radio advertising, PR and an e-mail blast inviting fans to the party that was only taking place on one special weekend. Together, with one resounding voice and all five senses, communicated the specialness of the milestone and uniqueness of the offer. RESULTS: We served over 300,000 pieces of cake that weekend and treated guests to local-flavored fun and games. The microsite received over 100,000 views, of which most were unique visits and drove over a thousand new customers to opt into the database. The promotion was a sweet success, doubling sales nationwide and even enjoyed higher sales increases in some stores. CHALLENGE: Sony recognized a problem in the HDTV purchasing process. A flood of new products and terminology left many consumers overwhelmed and confused by technobabble. Sony wanted a new and interesting way to help consumers get educated about HD, and enlightened about Sony's superior HDTVs, at retail. INSIGHT: Through our research we discovered that millions of homes with HDTVs weren't actually watching HD programming. Unaware that a specific HD source was needed, HDTV owners wrongly assumed they were already watching HD programming, leading to disappointment in the experience and the investment. This and other poor installation experiences caused an unsettling number of Sony HDTVs to be returned. IDEA: PowerPact developed HD Test Drive, a comprehensive in-store interactive program that helped demonstrate the HD experience and entire setup process, in a simple and enjoyable manner. The program featured an entertaining video called The Sony HD Report, a whimsical newscast featuring Comedy Central's Mo Rocca, Samantha Bee and Jason Jones. The comedic news-style video poked fun at HD confusion and broke down barriers between its products and features. It also presented information about how to get full-HD in a fun and easy-to-understand way. We utilized The Sony HD Report online, in-store and in-home via custom TiVo content and cable network Video-on-Demand. 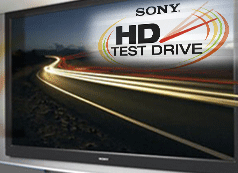 HD Test Drive was co-driven by specially trained Sony Sales staff that guided consumers through the purchasing steps. 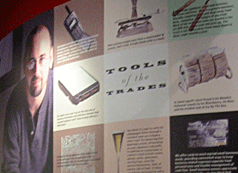 The program was supported with signage, a consumer-friendly buyers' guide and retail circulars. An overlay sweepstakes leveraging Sony sports sponsorships of Peyton Manning, Ryan Newman and Michelle Wie, as well as Sony Pictures' assets like the James Bond movie Casino Royale, helped draw consumer attention and involvement at retail. RESULTS: The program was successfully activated at a large number of retail outlets throughout the country, every weekend for seven months. It exceeded Sony's goals of consumer demos, sales rep training, sweepstakes entries, and most importantly, sales. In-store intercepts revealed that 80% of participating consumers were more likely to purchase a Sony. Also, 72% stated the program reduced confusion and led to an earlier purchase. The program went on to win a Silver Reggie in the Shopper Marketing category. CHALLENGE: IKEA needed to raise top-of-mind awareness and create buzz in the market just before the cluttered holiday shopping period. They were looking for a viral campaign that would surprise people with their range of products to help prepare homes for the holidays, at even more surprising prices. INSIGHT: Although people are in the gift-buying mindset during the holiday season, they are also thinking about sprucing up their homes for holiday entertaining. 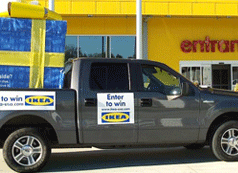 IDEA: PowerPact created the IKEA Big Blue Box promotion that featured a mobile street tour with a truck that held a giant blue mysterious gift box. It demanded the attention of onlookers and intrigued them enough to wonder what was inside and how could they win it. Accompanying street teams handed out Z-cards that featured four inspiring fully-furnished rooms, one of which could be inside the box. The cards directed people to visit a dedicated promotional website to learn more about how they could participate and win. Once at the site, visitors could link directly to IKEA.com to begin their holiday shopping. 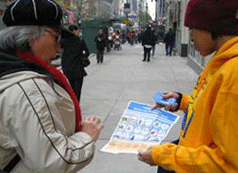 RESULTS: Street teams distributed nearly 40,000 brochures in 12 markets. Drove one of the highest site visits to date for IKEA, with 92% being unique. Over half of the visitors entered the sweepstakes. Thousands of visitors opted into the IKEA database. The buzz-driving mobile event, the first of its kind for IKEA, was pronounced a success and the holidays were merry for IKEA. CHALLENGE: Yoplait supports Susan G. Komen for the Cure® through its well-known program Save Lids to Save Lives® (SLSL). Since 1998, consumers mail in pink lids every Fall to generate Yoplait's annual $1.5 million donation. Our charge today, as it was in the beginning, is to maximize Yoplait's sponsorship of Komen's Race for the Cure® at retail and at the Races, year-round. We must keep the program fresh and interesting to retailers so they'll renew their participation each year. At Races across the country, we connect with Yoplait's consumers by distributing samples. INSIGHT: Each year millions of people are touched by breast cancer in one way or another. When it comes to fighting it, many feel helpless but do want to help, they just don't know how. IDEA: In concert with SLSL, we created the localized and emotionally-charged program Salute to Survivors that gets both the retailer and shoppers involved in a meaningful way. Shoppers who have survived breast cancer are selected from the retailer's microsite where shoppers nominate themselves or a loved one to be featured on Yoplait POS and packaging. Their image and story inspires the community to join in the fight by purchasing Yoplait at participating locations, which in turn generates a donation to their local Komen Affiliate. Retailers, like Kroger, look forward to this special annual program that brings their shoppers and employees together. Now in their ninth year, they've reached the $1 million milestone for local donations! On Race day participating retailers, like Kroger, receive brand exposure at the Yoplait sampling station. We also provide local Komen Affiliates with lid collection bins and posters so that they can leverage their grass roots influence to place the items throughout the community. A simple incentive of $100 Office Depot gift card translated to an average increase of 33% more lids collected over the previous year. RESULTS: After 10 years, over $22 million has been donated to Komen for the Cure through these collective efforts. Thirty-nine retailers with over 5,500 stores participate. We sample at 121 Races, with more than 650,000 cups handed-out. And sales continue to grow year after year. We even won the Best Long-term Campaign from the prestigious MAA Globe Awards. CHALLENGE: Oven purchases are an infrequent occurrence for most homeowners, and in today’s economy, the majority of oven purchases are made only when a current appliance is broken. With family needs looming, the consumer has less time to research the category and often relies on price to be their deciding factor. LG understands that competing on price alone is a short-term, unsustainable, non-differentiating proposition. INSIGHT: A product-relevant, high-perceived-value gift with purchase will entice consumers — and stand out with retail sales associates — without lowering the perceived value of the LG brand. IDEA: What better way to test out the indoor-grill features of your new LG oven than with hundreds of dollars in free Omaha Steaks and sides of your choosing! PowerPact developed a tiered program of high-valued packages with in store POS and retailer circular ads to announce the offer. The dessert? An engaging, munch-sound-filled microsite delivered one-stop fulfillment where consumers could easily choose their package and verify their purchase. The backend of the site fed directly to Omaha Steaks who then sent the cooler of chosen steaks directly to hungry consumers. RESULTS: With the vast majority of LG’s appliance retailers participating, this program was a sizzling success. In the four-week promotion, PowerPact creative was featured in multiple retailer-produced ads and online banners, as well as a custom program for a major retailer. Helped by the easy online redemption process, the offer redemption rate exceeded forecast. At the same time, sales lift doubled as compared to a typical LG price-reduction offer. The enviable MROI on this program — combined with the pleas for seconds by the LG Sales team and retailers — prompted LG and PowerPact to bring back this program for another round in the kitchen. © PowerPact, LLC, a Diginary Holdings company.